Home / Events / DOUBLE FEATURE: "THE ADVENTURES OF ROBIN HOOD" AND "MILDRED PIERCE"
DOUBLE FEATURE: "THE ADVENTURES OF ROBIN HOOD" AND "MILDRED PIERCE"
Part of our series The Perfect Match: Hollywood Costume Collaborations, in December we screened three double features spotlighting great partnerships from Hollywood’s Golden Age. Milo Anderson created the costumes for more than 175 films during his tenure at Warner Bros., and created some of his most unforgettable designs for Oscar-winning director Michael Curtiz. Their partnership will be represented in our series by the Technicolor spectacle of The Adventures of Robin Hood and the black-and-white noir world of Mildred Pierce. SATURDAY, DecemBER 13 | 6:00 P.M.
Errol Flynn played the swashbuckling bandit of Sherwood Forest in this Technicolor classic that remains one of the most beloved adventures ever filmed. Flynn was at the top of his charismatic form as Robin Hood, wooing Maid Marian (the ever-lovely Olivia de Havilland), rollicking with his band of Merry Men (Patric Knowles, Eugene Pallette, Alan Hale) and doing battle with the forces of evil (Basil Rathbone, Claude Rains). Milo Anderson’s colorful costumes include Flynn’s classic green Robin Hood attire, and Erich Wolfgang Korngold’s rousing, Oscar-winning score helps send the audience out with a smile. 1938, 102 minutes, color, 35mm | Directed by Michael Curtiz and William Keighley; screenplay by Norman Reilly Raine and Seton I. Miller; with Errol Flynn, Olivia de Havilland, Basil Rathbone, Claude Rains, Patric Knowles, Eugene Pallette, Alan Hale, Melville Cooper. 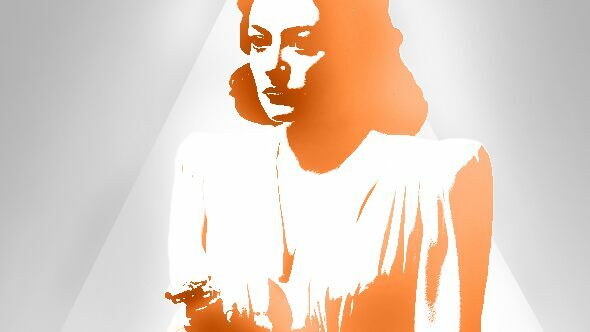 SATURDAY, DECEMBER 13 | 8:00 P.M.
Joan Crawford won a Best Actress Oscar for her indelible portrayal of a loving mother whose tireless efforts to provide everything for her family lead to betrayal and murder. Hollywood legend Michael Curtiz directed this film version of James M. Cain’s novel, with the adaptation upping the noir content as Crawford’s rise from struggling divorcée to powerful businesswoman only feeds the selfishness of epically ungrateful daughter Ann Blyth. From its elegant opening to its twisty finale, Mildred Pierce is ’40s Hollywood at its most compulsively watchable, and Milo Anderson expertly dressed Crawford for the many phases of Mildred’s tumultuous life. 1945, 109 minutes, black and white, 35mm | Directed by Michael Curtiz; screenplay by Ranald MacDougall, based on the novel by James M. Cain; with Joan Crawford, Jack Carson, Zachary Scott, Eve Arden, Ann Blyth, Bruce Bennett, Lee Patrick, Moroni Olsen.